Negative reviews are good for sales as well. 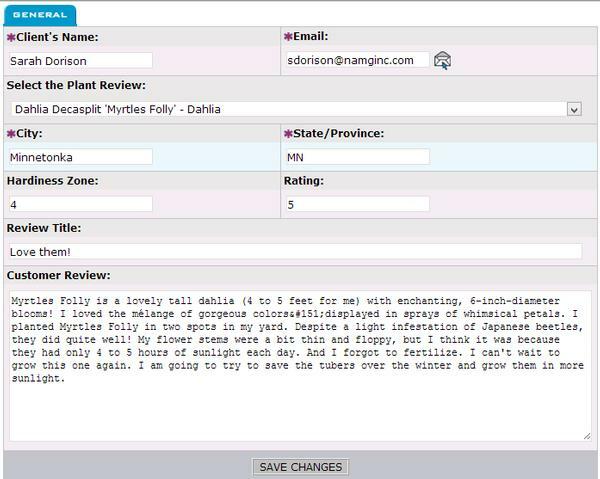 They let your customers know the reviews are real and helps steer them to better plants. You can add, edit and delete reviews with the Customer Reviews Editor tool in your Clarity Console. You can also click on the e-mail icon to immediately e-mail the reviewer. According to a number of different studies, having real consumer reviews for your products significantly improve sales. 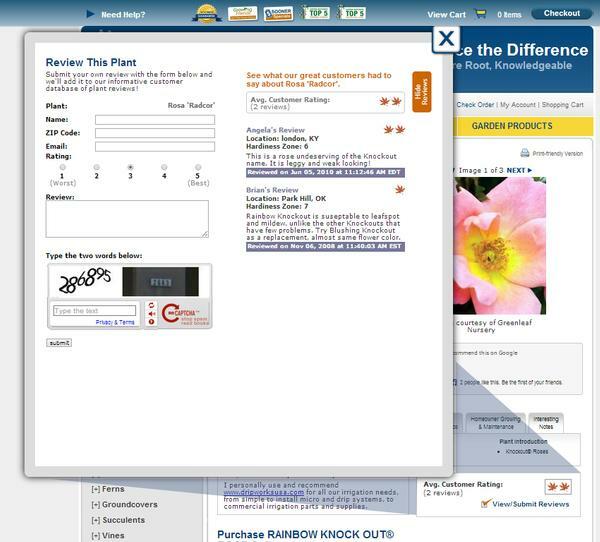 Add plant reviews to your site to help increase your sales. There are a number of different ways we can implement the 'Review This Plant' functionality on your site. Please refere to the images at the right for a few examples. We can make the reviewers zip code a required field to do an automatic look up of hardiness zone so that people would know if the review pertains to their climate. Some of our customers allow the review to immediately display on their site while others want to review and approve the customer submitted reviews prior to the rest of the world seeing the review. In either case, the site will automatically send an e-mail letting you know that a review has been submitted. 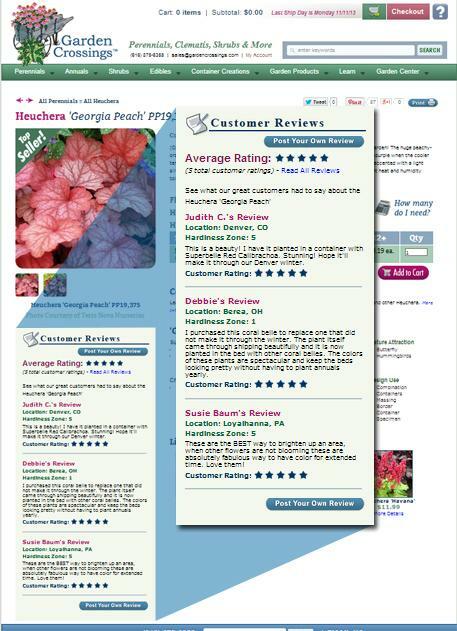 With the Customer Reviews Editor tool you can add, edit and delete customer reviews. Please see image 4 for a screen shot of the tool. We can also implement the same functionality for your non-green good products, http://www.clarity-connect.com/ReviewThisProduct.